Sunday at Augusta National Golf Club officially turned into Tiger Mania. 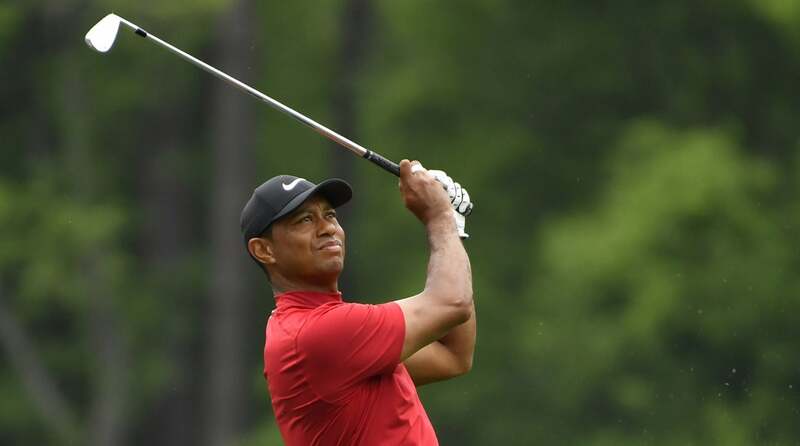 After taking sole possession of the lead at the 15th hole, Tiger Woods hit a beautifully placed tee shot at the par-3 16th hole during the final round of the Masters. It truly was a thing of beauty from Woods, and it almost went in, too. (Players were lighting up the 16th on Sunday.) Watch for yourself here. Tiger Woods nearly aced the 16th hole and then won his fifth Masters. While he didn’t record the ace, Woods sunk his birdie putt to move to 14 under for the tournament and two shots ahead with two holes to play. He made par on 17 and then a bogey on 18 to win the Masters and clinch his 15th major championship. It’s his first Masters title since 2005 and first major championship since the 2008 U.S. Open.